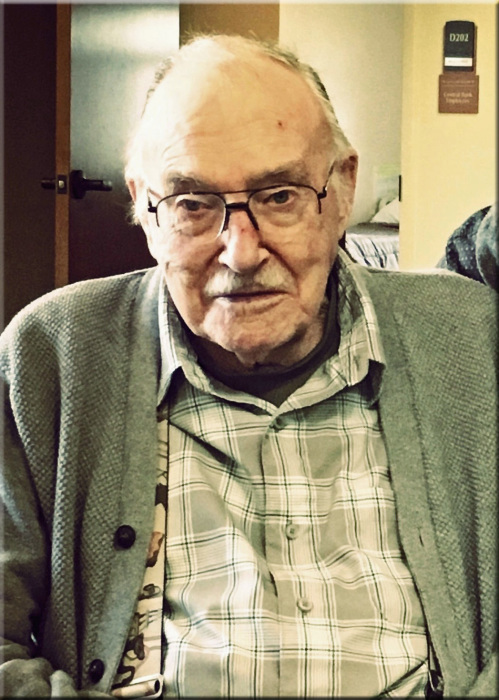 Kenneth "Ken" Keen, age 92, of Osceola, Wisconsin, formerly of Scandia, Minnesota, passed away on Friday, March 22, 2019. Ken proudly served our country in the United States Army during WWII. He worked for the City of Minneapolis for over 30 years. In his free time, he enjoyed horses and proudly participated as a horseman raising money for Camp Courage with their wagon train. He is preceded in death by his wife, Jeanine; brother, Emmeth. He is survived by his sons, Fred (Bryce Jermain), Kerry (Laurie), Edward (Sue); daughters, Robyn (Charles Preisler), Lourie Keen (Jon Minar); grandchildren, Velvet (Jeremy Falls), Julie (Reed Johnson), Joanna (John Spiekermeier), Kevin, Amber, Jim, Aaron (KC), Tyler; 10 great-grandchildren; other extended family. A Celebration of His Life will be held at 2:00 p.m., Sunday, April 7, 2019 at Mattson Funeral Home, 343 North Shore Drive, Forest Lake. The family will greet friends one hour prior to the celebration at the funeral home. Private family interment at Elim Lutheran Cemetery, Scandia, Minnesota.